The Dad sneaker trend looks like it’s here to stay for at least the rest of 2018. And unfortunately, that means, for a blogger anyway, taking a side eventually. 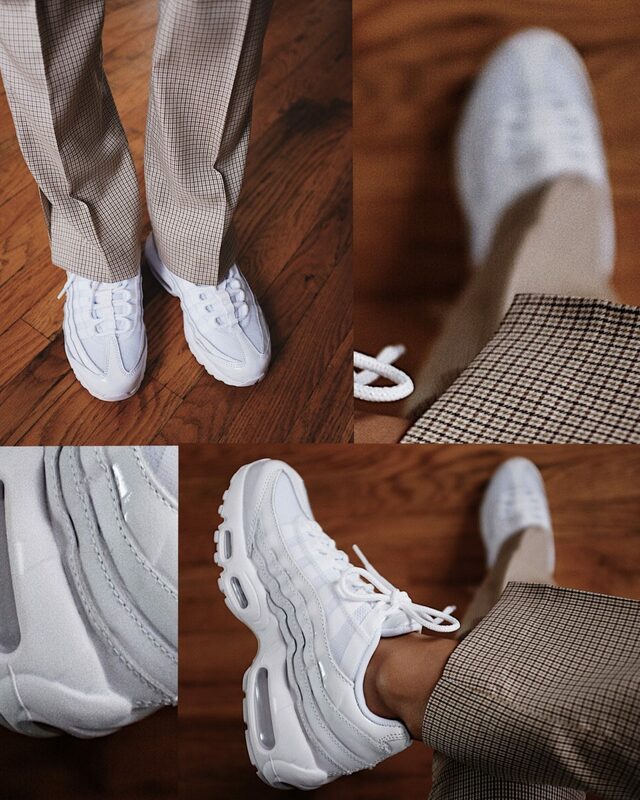 I’ve noticed from comment sections of posts featuring the Balenciaga Triple S sneaker (the Dad sneaker you’ve been seeing everywhere, that pretty much started this movement), that the opinions are split. They either hate it or love it. At first, I admit, I hated it. I am of the sleek, minimalist, clean lines type. I knew those shoes would make my feet look huge which was always something I was acutely aware of when trying on shoes, probably because I’m short and need the illusion of height without being weighted down by big, bulky shoes. So after many months of seeing it and thinking about it, I found a way for me to adopt the concept of the trend (a salute to 90s sneaker trends, really). 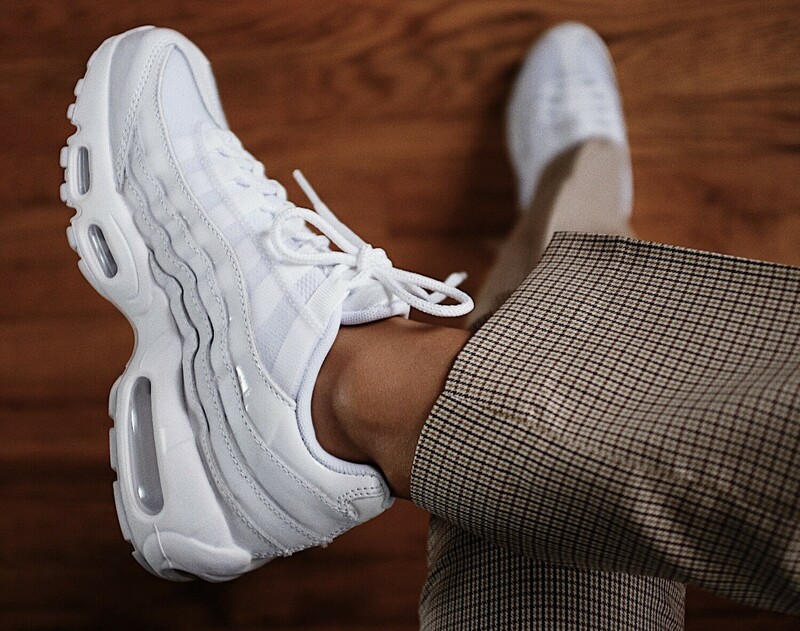 I rediscovered the Nike Airmax 95 and I just fell in love. Either paired with cool trousers like these from W Concept or with a tailored, textured suit like the one I’m wearing from Suis Studio. You can also try pairing it with a feminine, flow-y skirt or dress to balance such a feminine look with a boy-ish touch. When it comes to trends, everything has a lifespan and keeping that in mind while making purchases will help to make a more wise decision on long-term investment pieces. I strive to meet somewhere in the middle, without trying to fit into a particular mold. It’s about finding a way to adopt a trend but still putting your own spin on it. Naturally, as a fan of Nike’s sneakers I felt this pair would fit right along with the rest of my wardrobe with little effort. Let me know what you think of this way of adopting the latest trends and more importantly, how you feel about the dad shoe trend!